for the first time, I had to wipe a little drool off my chin. great in a master bath or even a powder room. 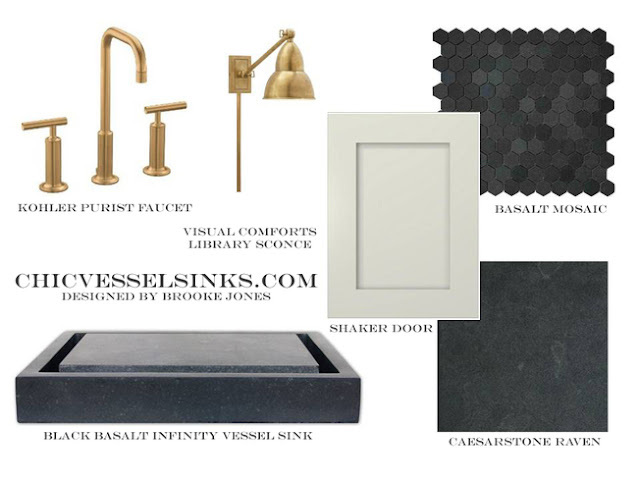 I love the look of black basalt sinks. I got one from MR Direct that is a teardrop shape. I am seriously in love with it! Thank you for sharing these inspiring photos!